Houston has a population of over 2 million, and hundreds relocate to the city every day. What is it about this city that makes it so desirable? 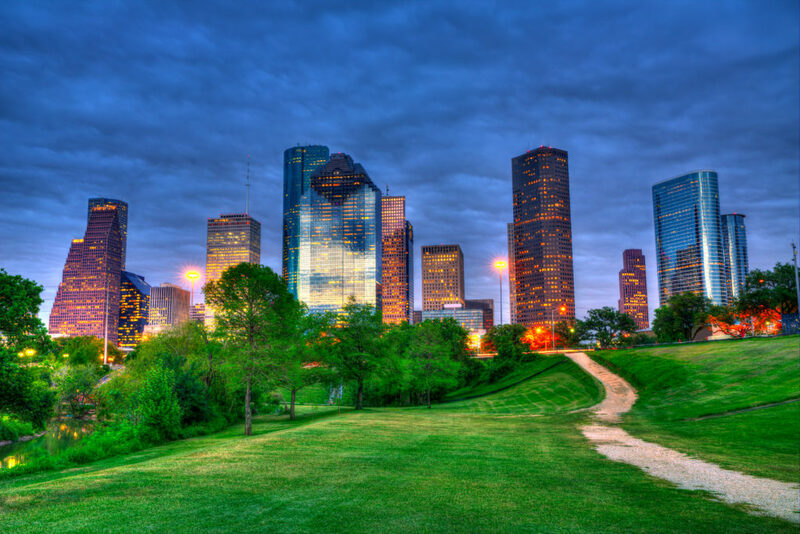 Houston has gained recognition as the second fastest growing city in the country. Besides having a stellar job market, the city is also well-known for its affordable housing and local attractions. Houston is filled with museums, art centers, landmarks, and more. Seeing that the area is urban, you would think that the city would be lacking in green space. However, there are thousands of acres of parks if you love the great outdoors. Just be mindful of the extreme heat and humidity that comes during certain parts of the year. Having a decent car in Houston is a necessity, so you will definitely want to take yours with you when you visit or move to the area. At National Dispatch, we offer car shipping services that will save you time, energy, and a lot of headache. Why Is Shipping A Car Easier Than Driving? Before people make a big decision, many people like to weigh out all the factors and consider the pros and cons. Shipping a car could be considered a big decision. After all, you are putting responsibility for it into the hands of someone else, likely a stranger. While driving does give you the opportunity to sight-see, shipping your car provides many benefits over driving. If you have never made a long-distance drive before, you might be nervous about making one. Remember that long road trips require you to take frequent breaks so that you remain alert and well-rested. By traveling on the road, you run the risk of encountering traffic jams, bad weather, and more. With car shipping services, your car will be shipped on a transport carrier, out of harm’s way. Traveling can be exhausting and frustrating. After expending all your energy packing up your belongings for a move, the last thing you want to do is sit in a car for hours. Choose the easier option, and ship your car. With door-to-door auto transport, your car will be delivered directly to your home. No need to drive to pick it up. Car shipping provides you with the opportunity to get to your destination sooner. Driving across the country can take several days. When you ship your car, you can hop on a plane. This allows you to get to your destination and start enjoying your new home sooner rather than later. Before moving to Houston, there are few things that you might want to know about the city. Here are a few facts about the area. The job market is booming in Houston. This has caused the population to grow and more opportunities to open up. Several of the most common industries in Houston are oil, technology, manufacturing, medical, aerospace, and education. Residents also get paid well and make above the national average on annual income. People who have specialized in a field can make upwards to $200,000 a year. The median age of the Houston population is just under 33 years old. This is due to the growing opportunities, affordability, and great food scene. The population has a wide range of diversity, representing people from different ethnicities and cultural backgrounds. Summers can be brutal. Therefore, it would be unwise to try to get by without air conditioning in either your car or your home. Winters are also relatively warm compared to the rest of the country. Houston residents can still be seen hanging out on their decks and porches, often times in short sleeve shirts and shorts, in what is the coldest month of the year. However, the beautiful weather can often change without notice. Rain is frequent here, so keep an umbrella or a lightweight rain jacket with you. Houston goes by many nicknames. The “cool kids” call Houston H-Town. It is also called Bayou City or Magnolia City. The city is in its on class. H-Town is unlike the rest of Texas. It tends to be more progressive and trendier than the rest of the state. Live as close to your work as possible. If there is one downfall to Houston, it is the traffic and commute time. Living close to work will cut down on transportation costs and keep you enjoying the better things in life. Houston is artsy. Houston won 4 out of 24 “best show” titles back in 2012 and continues to celebrate the arts. There are museums, shows, and galleries everywhere you turn. You need a car. As of now, you really can’t get away without using a car. The public transit systems are getting better, but they won’t get you everywhere you need to go. And due to the weather, you are not going to be able to use your bike year-round. You will want to invest in Bug spray. You are going to need it, so much so that the city survives around spraying to help eliminate mosquitoes. There are many gun owners. If you are not second amendment friendly, Houston may not be the best place for you. Having personal concealed weapons on your person is common here. Beyonce is from here. The singer, songwriter, and actress was born in Houston. Many Houston residents are very proud of their hometown royalty. National Dispatch is a nationwide car shipping company. Our customers rely on us for fast and reliable transport of their cars, trucks, vans, SUVs, and motorcycles. We cater to all shipping requests for both individuals and corporations. Whether you are an individual relocating to another city, a car dealership, vacationer, or car collector, it doesn’t matter. We can assist you with your move. Request a free, instant car shipping quote using our online quote form. No personal information is required. Call us at 800-321-2051 to book services. You can also chat with us online. Moving to a new home in a new city presents a challenge. Not only are you tasked with finding the right company to get your household goods to your home, but you must also find reliable companies in the area. Who will you go to when your car needs a repair? We have just the list for you for the Houston area.